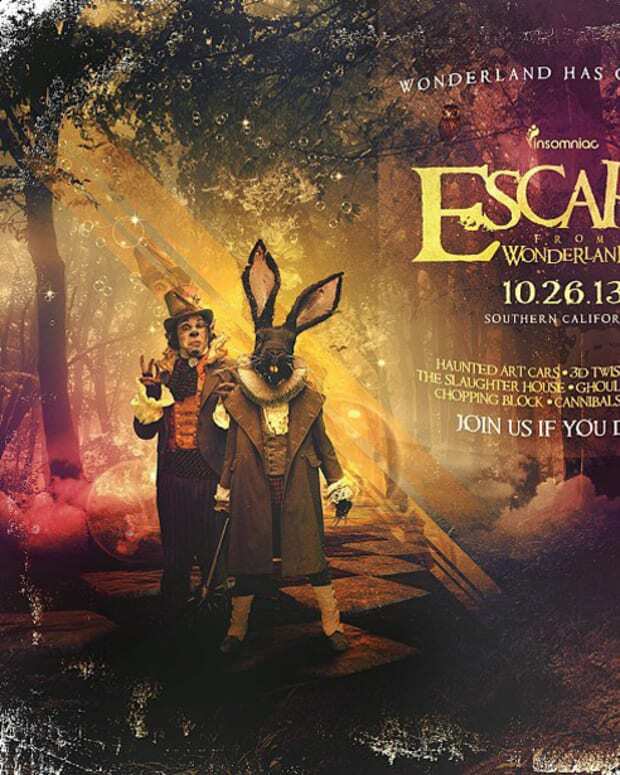 Insomniac Events is back with their 4th annual installment of Escape from Wonderland... this year, known as Escape All Hallows&apos; Eve. Ready for the plot twist? 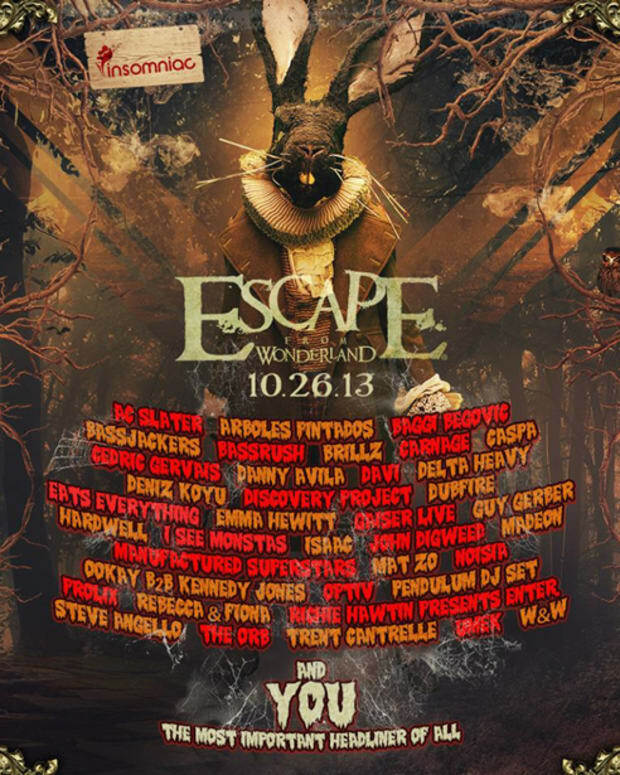 Escape will be welcomed back to it&apos;s birthing place... the coveted NOS events center in San Bernardino, California. This year&apos;s event will also stretch over a span of 2 days for the first time since its inception-- giving fans, festies and ghouls alike the chance to truly experience the haunting depths of Insomniac&apos;s darkest event. Mystical and terrifying creatures haunt the transformed grounds of the NOS center along with stilt walkers, fire twirlers, and zombiefied dancers. 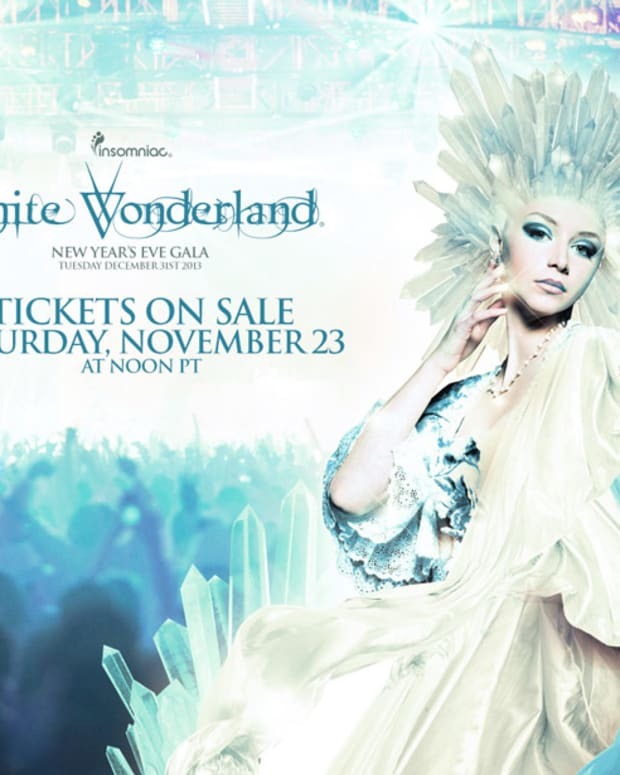 Insomniac&apos;s signature art installations, trippy mazes, hidden art rooms and rabbit holes will be presented at Escape this year as well. Headliners! Here is your official Line up! 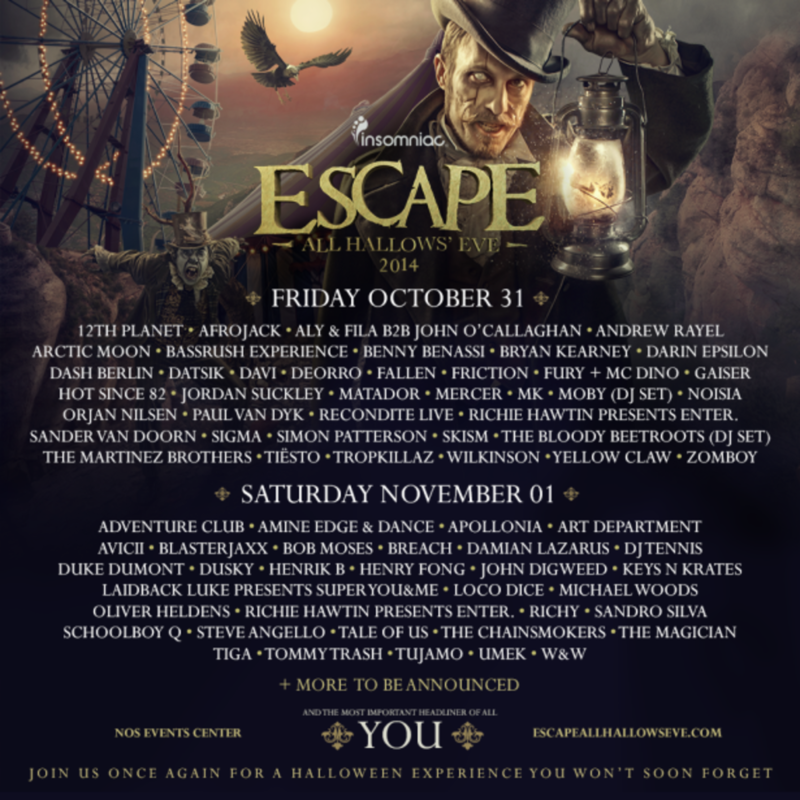 Escape All Hallows’ Eve is an 18 + event and will run until 2 a.m. each night. Tickets are on sale now. Two-day general admission and VIP passes start at $139 and $279 respectively, before service fees. Single day tickets can be purchased for $79 for general admission and $149 for VIP, before service fees.